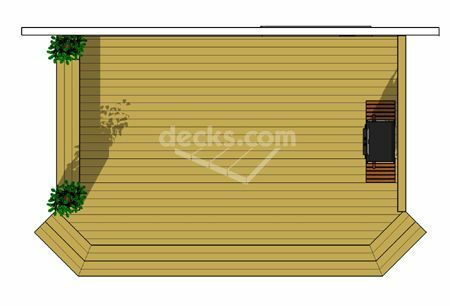 This basic one level deck design features a privacy wall, a cascading staircase, and a bench and planter combination. This 20' x 12' deck is perfect where space is limited. 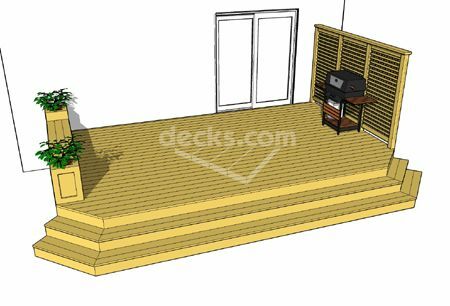 This deck design is easy to construct and is quite affordable.